As some of you may have noticed, the blog has been dormant while I took a few days off for a little Thanksgiving trip to New York and Philadelphia with my son. Seeing an event at Madison Square Garden was a bucket list item now checked off as we saw the Knicks beat the Toronto Raptors with a comeback that included a 28-0 run. I was also looking forward to experiencing the renowned Football Factory in New York for the round ball game, but this wasn't such a great occasion. The problem wasn't that the prices were high even by New York standards, but more that it's one of these establishments which automatically add on a (very generous) 20% gratuity, and then leave space for an unwitting customer to add an additional gratuity on the credit card receipt, which always seems rather a dirty trick. Someone a little drunker than I was or a little less 'on the ball' regarding prices, might easily have been duped into leaving an extraordinarily generous tip. Nothing wrong with that of course, if the service warrants it, but that wasn't the case for us. When I commented that others arriving after us had been served first, my son informed me that I was getting like my Mum, at which point I left the bar, walked around the corner, went up to the observation deck on the 102nd floor of the Empire State Building, and had to be talked down. Fortunately there were plenty of other bars in the area where football was being shown and overall it was a good trip, and for the record, the view from atop the Empire State Building is quite spectacular. I was also able to see the Temple Owls lose their final home game of the college football season to ranked, and at that time unbeaten, University of Central Florida Knights, which leads nicely into the update for the Small Road 'Dogs in that sport. In the NBA, the Beast went 9-10-2 and is now at +3.55 points (ROI 3.6%) on the season. League Two Aways also had a poor run while I was away, losing 11.39 points over the last three rounds of matches, and are currently -12.52 points (ROI -5.3%) on the season. The National League Aways also lost points while I wasn't watching, but 'only' 3.68. I blame Joseph Buchdahl. My holiday appears to have been well timed. As a reminder that life is about much more than winning or losing bets, Betfair co-founder Mark Davies writes eloquently about his surviving a recent heart attack here and with an update here. 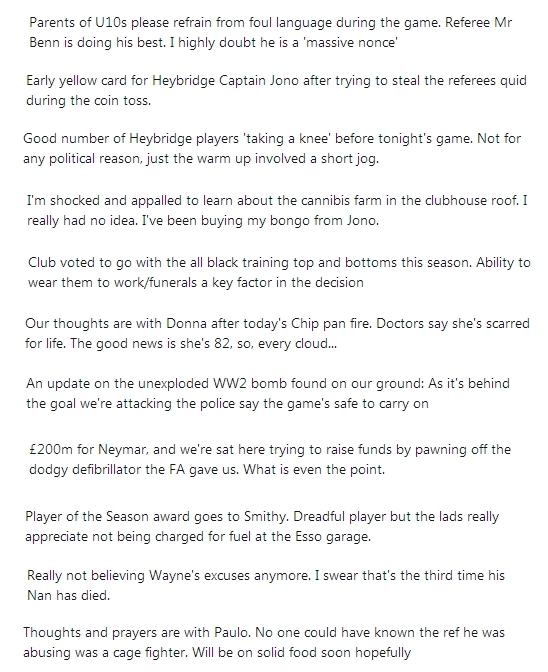 Worth reading if you think losing a few points is a disaster. There was a flurry of interest on Twitter yesterday regarding my observation that the Away team has been underestimated by the market in League Two for some time. The downside of the publicity is that the esteemed Joseph Buchdahl Esq. became involved, along with his small army of 5,000 followers, so the edge on these will now be gone. Fun and lucrative while it lasted though. As a Cassini, the failure of Italy to reach the World Cup Finals was obviously a huge disappointment, and with my wife's USA also missing out, I may be forced to be English this summer. Who to support after the group stages remains to be seen, but 23 and Me did indicate I was above average in the Balkan area, an observation which I initially thought was someone being rather rude, but as it turns out - it's a region in Southeastern Europe! Who knew? Ural lying about your European geography knowledge if you claim you did. The French and German looks promising, and I'll assume that's all German with none of that Frenchie stuff inside me - bloody cream adders! As for the missing 0.1%, it's either North African or West African. Grandma? I think there is a mistake in the first image. Total P/L and ROI%. In the text it is ok 5.9 ROI%, is it? Anyway I really love you blog. It doesn't take a genius to see how the mistake occurred, but that's no excuse. It's gratifying to know that someone actually looks at these things! 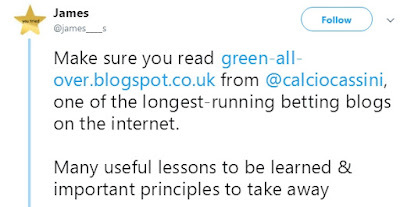 We, at Green All Over, have a zero tolerance policy on mistakes, and appropriate action has been taken with the staff member responsible - or should that be irresponsible? It's a long time ago now, but one of the more amusing memories from my school days in Croydon involved an incident where one of my peers threw a piece of chalk at a teacher as he wrote on the blackboard. The teacher turned around and said "Watkins! Are you responsible?" to which he replied immediately "No Sir, I am totally irresponsible". When you're 13, that's quite funny. Just to confirm. Your ROI is based on Pinnacle (SP?) prices that UK based bettors cannot take advantage of at the moment? 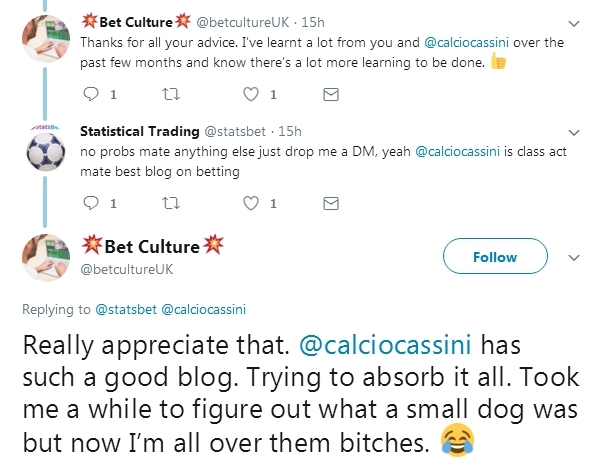 Do you still get your bets on via Pinnacle so that your actual betting reflects the stats in the blog? If you are not using Pinnacle are you finding that the exchange prices are inflated enough beyond the Pinnacle prices such that the ROI is not affected by commission charges? 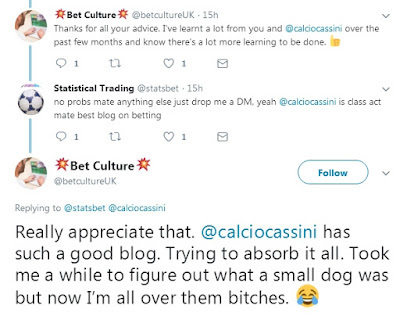 Obviously you cannot get a bet on with a traditional UK based bookmaker any more or you haven't tried to. Would that be correct to say? The numbers I publish for football are all using Pinnacle's Closing Odds, provided courtesy of Joseph Buchdahl's excellent and essential Football Data web site. They are for illustrative purposes only, and used not because they are necessarily available to everyone, but because they are the most accurate reflection of the 'true' odds that I have access to. Do I personally wait until just before kick-off and bet with Pinnacle? No. As I've written before, real life means that this is rarely possible, so my actual results will always vary from the 'official' results of a system. Some selections are backed at longer prices and shorten by kick-off, some selections drift from when I back them, and some weeks I'm travelling and unable to place the bets at all - or at least I'm not prepared to jump through hoops to get a bet on Mansfield Town to win at Coventry City. With some systems where qualifiers depend on the line, it's not unusual for me to be live on a selection that ends up not being a qualifier, or conversely not being on a selection where a late move does make it a qualifier - but I don't worry about these things as they are unavoidable and things tend to even out over time. Betting on the Exchanges where the over-round is often close to non-existent (e.g. 100.06% ) and paying commission is about as good for most people as being able to bet with Pinnacle (102.54%). is debatable. Coventry City are currently available at 2.24, Mansfield Town at 3.9 and the Draw at 3.35. (As an aside, Mansfield Town have shortened considerably since trading at 4.5). Once again, if you're following this system, it now behoves you to bet early. It's as if, for some reason, people are piling onto the Aways closer to kick-off. What was that about an edge shared? Everyone's situation is different, whether it's where you can 'get on', how much commission you pay, or how much free time you have to place your bets. The big advantage of both the Exchanges and Pinnacle is that you will not be restricted, and both are competitive. Yes, Betfair have their Premium Charges and Pinnacle are not currently taking bets from the UK, Spain or USA (which is ironic as "Pinnacle offers some of the best betting lines for American sports - compare theirs with any other bookmaker’s betting lines on American sports and you’ll see the better line at Pinnacle at least seven times out of ten") but serious bettors will have options available to them. 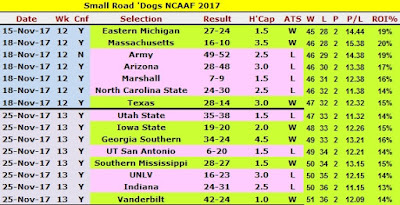 Again, I've mentioned this before, but if 100 people are playing the NCAAF Small Road 'Dogs system this season, I doubt that the actual ROI percentages of any two would be the same, and none would match the 'official' results I publish. The 'official' results should always be beatable, although having said that, I noticed this week that Pinnacle now operate a 102.93% over-round on College Football Handicaps, and incidentally a whopping 103.41% on Totals, compared to their 102.4% in the NFL, so I need to adjust the official returns to account for this. We had a winner last night (BYU winning by 10 at UNLV) which hopefully augurs well for the remaining (probably seven) Week 11 qualifiers today. The College Basketball (NCAAB) season begins this Friday, and having watched the rising totals in the NBA, here are some observations on the College version. It's important to note that the NBA and College games are quite different. College games are shorter, with two 20 minute halves rather than four 12 minute quarters, the shot clock is 30 seconds rather than 24 seconds, but with an extra two seconds to cross the half-court line, and the college game has a possession arrow. The three-point line is closer to, and always the same distance from, the basket (unlike in the NBA), and the college lane (paint) is 12' wide rather than 16' wide. 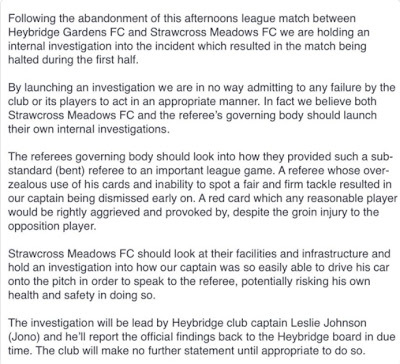 Possibly the biggest difference in how the game is played is because of the rules around fouls and defences. If you're interested, there are plenty of places you can read up on these, but I don't have all day. The other confusing aspect for the College game is the number of teams - 351 spread over 32 different Conferences. There are also a lot of mismatches, so you might want to wait for the Conference season which starts in January. Not that there aren't mismatches on Conference games, but the average line over the last three seasons in Conference games is 3.4 while in non-Conference games it is 8.7. Despite their many differences, backing Over when the Total is set high is also currently a successful strategy in the College game. In the past two seasons 2015-17, Overs has a 120-101-2 record which is a 5.9% ROI. The increase in points over the past two seasons is clear, at least in part because the the shot clock was reduced to 30 seconds in 2015, so older data isn't relevant. Phenomenal evening for the college road dogs. Would you reckon it's OK to jump aboard, not having backed them at all this season, or has the train left the station? And how about the NFL? I see there are two qualifiers tomorrow. On another note: Glad you're blogging more frequently nowadays. Long may it continue. 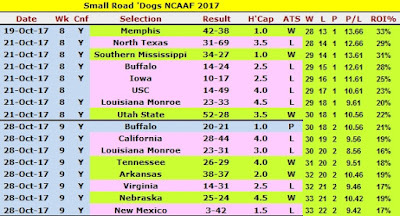 The Small Road 'Dogs did have a good day yesterday, and Week 10 ended 7-4 and boosting the ROI to 17.8% for the season. Doc Sportello is quite right to validate for himself the results of this system, or any system for that matter. 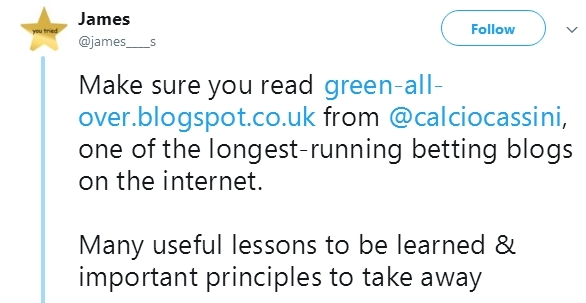 Unfortunately not everyone is as open and honest about betting results as we are here at Green All Over and a sceptical approach to claims is always healthy and it's perfectly valid to ask if "the train has left the station". Unless you have an interview, a surgery, a plane to catch, a hot date or it's the last train for the day, missing a train isn't usually a big deal. There's another one coming soon, although 'soon' is a relative term, and it may not feel very 'soon' at the time. My confidence in the medium-term viability of a system (in the long-term, no system should continue to be profitable) is based on past results rather than on a short-term period. This particular system has been profitable for far longer than it should have been, and while I expect the ROI to decline for 2017 from it's current 17.8%, there's no reason why it shouldn't match or exceed 2009's 19.8%. Also worth noting that an ROI can decline while profits increase. There's a clear trend here, present since 2001, and it always pays to ride the trend to the end. There's a saying in trading that "the trend is your friend". Looking at the table to the left, there is no point when it would have made sense to abandon the strategy. Were there multiple week losing spells contained therein? Almost certainly. Although the mention of "trading" might be confusing here, the biggest single mistake for traders is closing out a position too early. Let your winners run, and exit the losers. Same with this system - while it's profitable, keep with it. Understand that no system will be profitable every week, month or even season, but maintain perspective. With a long / medium term edge, it doesn't matter when you start. As I have noted previously, some betting articles from Pinnacle, "the world’s sharpest bookmaker", are worth a read. Some are absolute nonsense, but a recent one from last month by "Soccermatics" author David Sumpter piqued my interest, touching as it did on the draw - one of my long-time favourite football bets as followers will know. In one section of the book, I did manage to beat the bookies. But it wasn’t because I found a magical formula that predicts who will win soccer matches. The way I did it was much simpler. I looked at the odds and found a very small but significant bias in how they were set. Bookmakers and bettors hadn’t paid enough attention to predicting the draw in soccer. Maybe it is because of the popularity of the Over/Under markets. Maybe it is because bettors don’t like betting on a draw. But, whatever the explanation, it turned out that draws in the Premier League were not properly priced. As I've explained before, the idea that bookmakers "set" odds is really misleading. Bookmakers, especially those with a Pinnacle like model, adjust their odds as money comes in to the market, with the goal of making a profit whatever the outcome. The odds are not "set" as such, which implies that they are firm (set in stone). Opening odds are available to small limits, and as the market firms up, float up or down depending on the money wagered. The closing odds are the result of the opinions, backed up with money, of the market's participants. I also don't agree with the suggestions that the draw offers value because the Under / Over 2.5 goal markets are popular or that bettors don't like betting on a draw. Agreed that the casual punter may not like the draw, but there are much larger enterprises who should be backing the draw if it offers value. The above conclusion was drawn from the five seasons 2011-2016, but closing odds are not available for 2011-12 so how the Draw odds for this season were extracted is not clear. I looked at the five EPL seasons from 2012-17 using Joseph Buchdahl's Pinnacle Closing Odds, and blindly backing the draw was the worst 'blind' approach. Homes was the best (-1.8%), followed by Aways (-3.2%) and finally Draws (-4.3%). Betting in this way is generally a losing proposition, although there will be short-term intervals where such a strategy is profitable. Given that backing every Draw would have 'only' lost you 43.01 points, and it doesn't take a genius to work out that there was value backing the Draw up to a certain point. I've previously referred to this basic system as the Draw-4 (it's catchier than the Draw-4.11, and the 4.0 / Implied Probability 0.25 is close enough) but if you're going to be backing the Draw, you're generally not helping yourself by looking at games like Manchester City v Cardiff City at 12.38. The basic system can be improved by additional filters, such as ignoring matches where either team is evens or shorter, somewhat confirming Sumpter's observations because such matches are by definition, between closer matched teams. Using Sumpter's idea of using the differential between the Home and Away probabilities to determine when to back the draw, where the difference is up to 30%, the profit from 947 bets over five seasons is 76.8 points, an ROI of 8.1%. By way of comparison, an improved Draw-4 system of backing the Draw when the Home team is priced between 2.01 and 3.25 would have been up 84.28 points from 688 bets, an ROI of 12.25%. Perhaps an appropriate time to point out that Draws are in decline in the EPL. In its 25 season history, the average has dropped from 29% of matches in the first five seasons, to just 24.7% in the most recent five seasons, a natural consequence of the goals rising from an average of 2.59 per game (1992-97) to 2.73 since 2012. 2017-18 to date - Draws 23.6%. Goals per game 2.59. 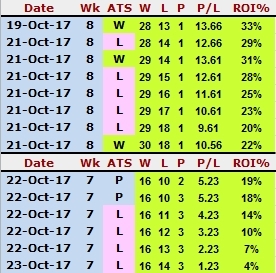 I'm not sure how many readers agreed with my logic for The Beast system this season, and are following along, but in the last week it has a 14-3 record, and is now up for the season by 8.66 points, with an ROI of 18.4%. While the 60.9% strike rate at 215+ is impressive, the rate rises to 90% above 224 points (10 selections), and to 100% at 229+ points (albeit with only three selections, so don't get too excited). Both the number of 3 point attempts and points scored from them has inched up since my last update almost a week ago. 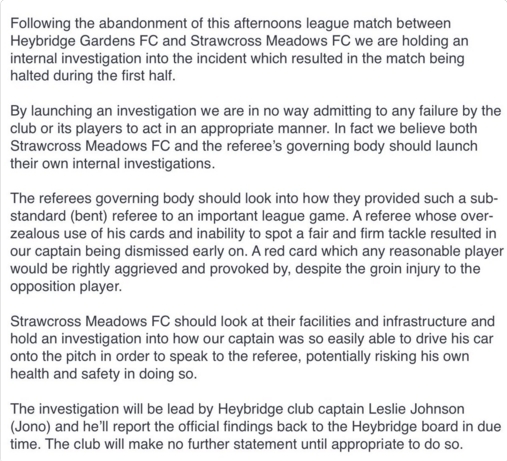 Something to keep an eye on as the season progresses. 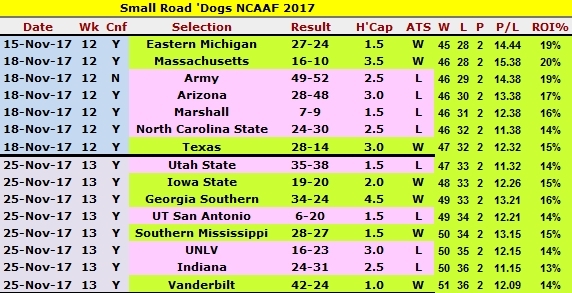 The College Football Small Road 'Dogs System looks likely to have a total of ten selections for Week 10 of the season, and already had one winner on Wednesday with Central Michigan making a nice comeback in the fourth quarter against their geographical rivals to the west. The NFL version of the system is likely to be less busy with just two qualifiers at the time of writing. Not actually so surprising when you think about it, and an error that it's important to be aware of as bettors. 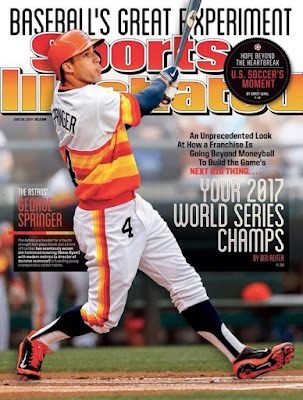 Major League Baseball is now over for the year, with the Houston Astros defeating their former National League West rivals Los Angeles Dodgers. Until 2013, the Astros (originally the Colt .45s) played in the National League and are the first club to win both the American League and National League. In my first interview I did get asked what football team I supported. I confidently answered West Ham. The guy that asked me said "well I support Millwall". Christ knows how I got the job! I would hope anyone could answer that question 'confidently' since there's no wrong answer. It's not like being asked "Which club won the Zenith Data Systems Cup in 1991?" for which there is only one correct answer, but it's an easy question that surely everyone knows the answer to, which may explain why no one has ever asked me it. How did Tony get the job? Christ isn't here, so we can't ask him, but I can only assume the talent pool was incredibly thin at that time, even for janitorial positions... Desperate times call for desperate measures. Just kidding Tony - keep the comments coming. Just don't mention West Ham again, unless you want me to talk about the 97th minute or play-off Finals. "And many traders who work in the City enjoy betting in their spare time, be it on shares, horses or football. After all, the Cheltenham Festival, racing’s most lucrative week, is dominated by those who work in the Square Mile." Tony's recollections of the City are similar to mine, although mine date back to the 1980s and the days of the Big Bang - the financial Big Bang before any smart-arse readers suggest I might date back to the cosmological Big Bang. The old City of London was stereotypically split between the posh folk who ran the merchant banks and the Essex lads who worked on the floor of the London Stock Exchange or for market-makers and brokers. The latter did not literally push barrows around but they were country cousins to those at London’s meat, fish and produce markets who did. Nice of them to clarify that the "Essex lads" didn't "literally" push barrows! Referencing a couple of books and authors mentioned here recently, namely Joseph Buchdahl and his book Squares & Sharps, Suckers & Sharks along with Adam Kucharski's The Perfect Bet, this article by Luke Johnson published by the Centre for Entrepreneurs (via the Sunday Times) is an interesting read. I'm not sure I agree with all of his thoughts. His ideas on investing in companies appear to be out-dated with the idea that active investing is the way to go - for almost all of us, passive investing in low cost index tracking funds is far more lucrative in the long-term - and while gambling is about chance, with discipline, the odds are certainly not always stacked against the punter. I am very doubtful it is worth the effort such an achievement would require. All that time and brain power could be applied so much more usefully elsewhere in society. Sports betting can be a rewarding hobby, but the opportunity cost of choosing it over a career is prohibitive for most of us, and "with no underlying meaning or output save recreation", perhaps rather sad at the end of the day. What is the difference between investment, speculation and gambling? And does it matter? There are some who believe that the entire stock market is merely a casino, and that it fulfils no productive purpose either for industry or society. This view is a little extreme, but there is no doubt that betting and investing are both risky undertakings, involving wagering on uncertain future outcomes. And many traders who work in the City enjoy betting in their spare time, be it on shares, horses or football. After all, the Cheltenham Festival, racing’s most lucrative week, is dominated by those who work in the Square Mile. For many, it seems that the activities of investment, speculation and gambling are indeed a continuum. I am something of a purist, however: I do not enjoy gambling except when I am the house — and then it is a business operation. I have owned bingo clubs, bookmakers, slot machine arcades and greyhound tracks, and I think there is a very significant difference between venturing capital on a commercial undertaking, and simply betting on games and sports. At heart, I like to believe that risking money by backing a company is a question of effort and skill. I need facts about form and odds — what investors call due diligence. I take longer-term bets, try to reduce the downside and prefer an active involvement in the business. By contrast, gambling is about chance — and beating the house, which is tough because the odds are stacked against the punter. Moreover, investing in businesses creates jobs and grows the economy, whereas gambling is a zero sum activity with no underlying meaning or output save recreation. A good primer on the subject of betting is the book Squares & Sharps, Suckers & Sharks, by Joseph Buchdahl. The subtitle is The Science, Psychology & Philosophy of Gambling. Buchdahl explains that an intelligent gambler understands probability, regression to the mean, the law of large numbers, and that sequential wagers represent a “memory-less” Markov chain, where past outcomes have no relevance. 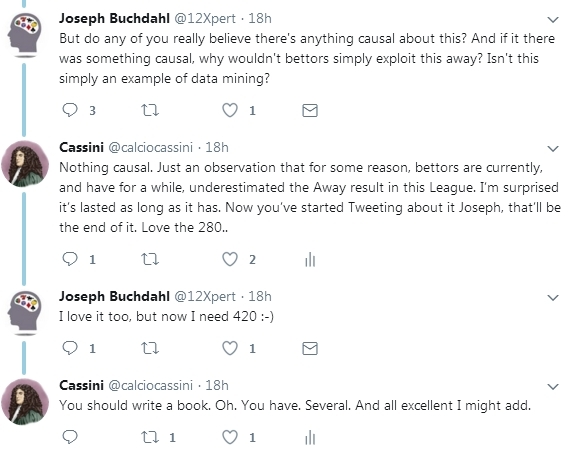 The clever gambler also knows about the fallacy of small samples, or the peril of generalising expected success from a few wagers. He or she does not believe in winning streaks, and knows that the pain of losing is much greater than the pleasure derived from winning. I’m always surprised when tycoons gamble at casinos — I suppose they do it as a form of escapism, or entertainment. I get enough thrills from my day job. Mind you, I am probably a compulsive capitalist, even if not a gambler. I can’t resist attractive opportunities, even when I probably should. America has always had an appetite for high-risk finance, which surely ranks as speculation — and that aspect of its culture is part of the reason it has been so successful economically. For example, Tesla, the electric car maker, has raised $13bn (£10bn) in debt and equity but has yet to make a profit. Stuart Banner’s book Speculation — A History of the Fine Line between Gambling and Investing describes how the United States was built on booms and busts. From land, to railroads, to agricultural commodities, to oil exploration — to trusts, to conglomerates, to merger and acquisition mania — each age has its favourite speculative bubble. Yet these regular frenzies of speculation have produced remarkable innovations, wealth generation and material advances. America is unique in its conspicuous enthusiasm for new technology and the capacity to fund its development. By contrast, countries where assets rarely change hands, where industry and bankers are cautious, and where investors prefer bonds over equities, are unlikely to grow much — or to offer moral and financial support to entrepreneurs. Some believe that science and mathematics can enable lottery, roulette or poker players to beat the system. Adam Kucharski argues as much in his book The Perfect Bet. But I am very doubtful it is worth the effort such an achievement would require. To a degree, all of us who risk our fortunes trying to predict the future are fantasists — be we gamblers or investors. We like to think we can control our destiny, which is, of course, impossible. The best one can hope for is to influence it somewhat. Yet it is easier to navigate the randomness of life if you are used to weighing probabilities, and are comfortable with judging unknown outcomes. I’m afraid that those who need to be sure about everything are doomed to an unhappy and stunted existence. I would rather rank among the plungers, be they investors, speculators or gamblers. As I know you are a fan of great stats, here is one for the footy today that you just can't ignore. In a record stretching back to Oct 2002, Everton have only suffered 2 defeats in 15, in the last match before Halloween. For some unexplained reason, my immediate thought was that Peter Nordsted had found a new outlet for his "tipping", my second thought was that Fizzer really missed a trick by not saying "Get stuck in to the Toffees" while my third thought, as much as my brain can handle at one time, was that Fizzer really should have said "get off the Foxes" as the other 13 matches in question might well have all been draws. Fortunately I made the sweet decision to leave this game alone, as Leicester City eased their relegation fears with a comfortable 2:0 win over the Toffees, in the midst of sticky patch, a spell witch shows no sign of ending. Something for the incoming manager to chew on. I need to check out flashscores if they are providing constant treats like this. One can't help but wonder why Smartodds and Starlizard are wasting their money paying graduates and agents good money for statistical wizardry when they could be carving out profits by using flashscores. What a bunch of pumpkins! The year 2000 was, of course, the final year of the last (20th) Century, as well as closing out the second millennium, and not this century, but the error has not yet been corrected. Possibly the account is being run by some of the people who celebrated the new millennium a year early on December 31st 1999. I'm hoping the inclusion of team names above doesn't cause too much confusion. To clarify, they are for identification purposes only, and play no part in the selection process itself. A long awaited win for UMPO last night in the World Series, as the Los Angeles Dodgers ended a twelve game losing streak for the odds-against selection. There were a couple of underdogs at evens who won during this spell, but for the official system, it's been a disappointing year. With two or three games left, (the World Series is tied at 2), it'll be a losing post-season. In the NBA, the Beast is up slightly with a 16-15 record, but still early days. 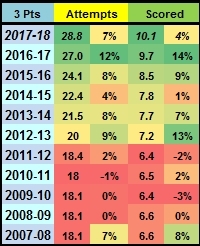 Three point attempts are up as I expected, from 27 a game per team to just under 29, an increase of 7%, while the strike rate is only up by 4% so far. 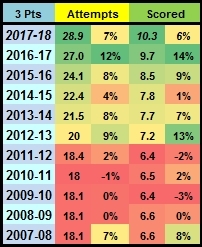 After five flat seasons from 2007-12, there has been a steady increase in three point attempts as the way the game is being played evolves. Interesting, but perhaps not surprising, that the highest strike rate was in the days when shooting a three pointer was for the most part left to the experts (36.5% from 2007-09) while the percentage since 2013 hasn't exceeded 36%. 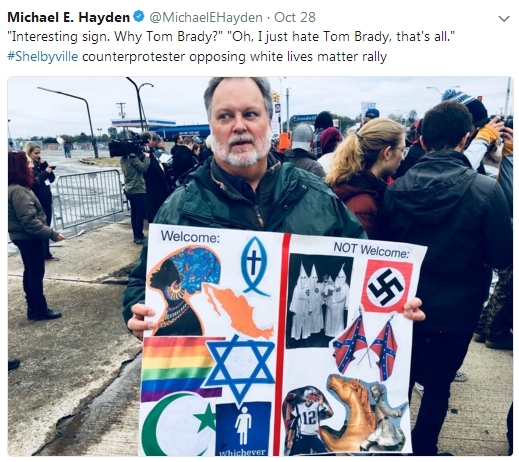 Brady was certainly a Trump supporter during the election, which places him squarely on the right, both above and in other ways, but he did at least say that the found Trump's comments on NFL players right to protest "divisive". I may have mentioned that most week days, I rather obsessively update my 'net worth' spreadsheet. My son mentioned today that Jeff Bezos would have had a good day yesterday, with Amazon up 13.22% yesterday. I'm not sure that Mr. Bezos has a net worth spreadie, although he is a notorious micro-manager, but if he does, his recorded gain yesterday would have been $6.44 billion, give or take a million or two. 'New high' days are always special, and I hope he didn't miss the moment. Amazon is up 46.8% year to date, and Jeff Bezos is once again the richest man in the world. Needless to say, my spreadsheet reflects a rather more modest financial situation, but the discipline required to track income, growth and expenses, is important whatever your net worth, though perhaps less important and a little more time consuming if you have $90 billion to track! Perhaps it's not surprising that opinions on Bezos vary - in 2014, he was both ranked the best CEO in the world by Harvard Business Review and named World's Worst Boss by the International Trade Union Confederation. I'm not without honours myself, as I was once the World's Best Dad (I have the mug to prove it - it's listed as an asset on my spreadsheet with a valuation of 50p). I think I was also Employee of the Month sometime back in the 1990s, but the valued award has long since vanished. Mrs. Cassini has a habit of throwing out items that are, depending on who you ask, either extremely valuable or worthless crap. Speaking of worthless crap, the NFL Small Road 'Dogs System continued its poor run on Thursday night with a shut-out 40 point loss. It's looking like a quiet day tomorrow with the outcome meaning we either stay in profit or go into the red for the season. Could it be that average punters are betting on the home team well before tip-off (do they still have that?) and then the professionals are smoothing out pricing discrepancies in a liquid market from just before the game starts through to the final whistle? NBA games do still have tip-offs, although I don't see why they don't just let the home team start from the baseline for the first and fourth quarters and let the road team have possession at the start of the second and third, but then, no one has ever asked me. The problem with Eggmund's theory is that I'm not sure there's any evidence to suggest that the Jonny Guessers (squares) of this world all bet well before an event starts, and then step away while the more enlightened Green All Over readers, (sharps) move in. Professionals like the softer, opening, lines because the closer to start time you are, the more efficient the prices are. Also, just to be clear, how the price moves in-play 'through to the final whistle' is irrelevant, as we are not trading. The mystery is why such edges persist for as long as they do. I think it was the founder of Taoism, Lao Tzu, who said "Give a man a system and you feed him for a day. Teach him how to develop a system and you feed him for a lifetime”. What is the road favs system? Is it as simple as the name suggests? Backing all favs on the road? No, it's not quite that simple, but there is a big clue in the system name, and anyone seriously interested in NBA betting can research it and tweak the criteria to suit themselves. 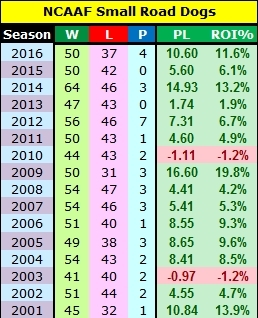 Do you want to generate ~105 bets a season with a return of 4.7% or have criteria that generates ~378 bets a season with an ROI of 3.6%? One system that has been profitable for the past three plus seasons is the National League Away system, and last night saw its fourth best round of the season to date. 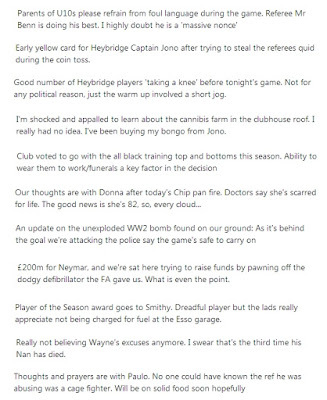 As team names can cause confusion for one reader, I've removed them from the results (left). I'm not totally convinced this bare-bones summary helps readability or understanding, but if I can eschew obfuscation, I will. Aways in this league were off to a slow start this season, around 20% through August, but since then they are hitting at 32% and are 29.2% overall - still a little down on the past three seasons. I mentioned yesterday my enthusiasm for sports betting, but many more weekends like the one just gone and that enthusiasm may well be extinguished. As we head into the World Series tonight, UMPO is on a losing streak of nine, and is all but guaranteed a losing season currently down 14.58 points. The Play-Off Totals recovered 6.13 points. 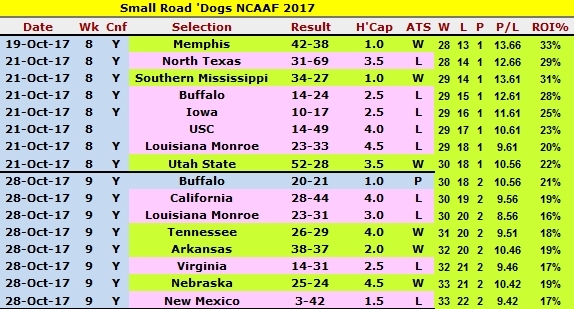 The College Football Small Road 'Dogs went 3 and 5 and the ROI dropped to 22% on the season, while the NFL version had two pushes and four losses and an ROI plummeting to 4%. Here are the results from the weekend in James' preferred format. Not a team name in sight - very technical. 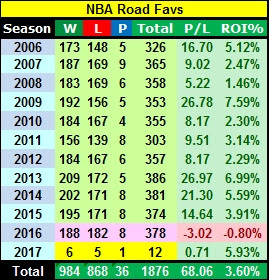 Still early days in the NBA but for the record, the Beast is up slightly with a 7-6 record, while the long-time profitable Road Favourites System, looking to reverse the declining trend since 2013, is also up early.